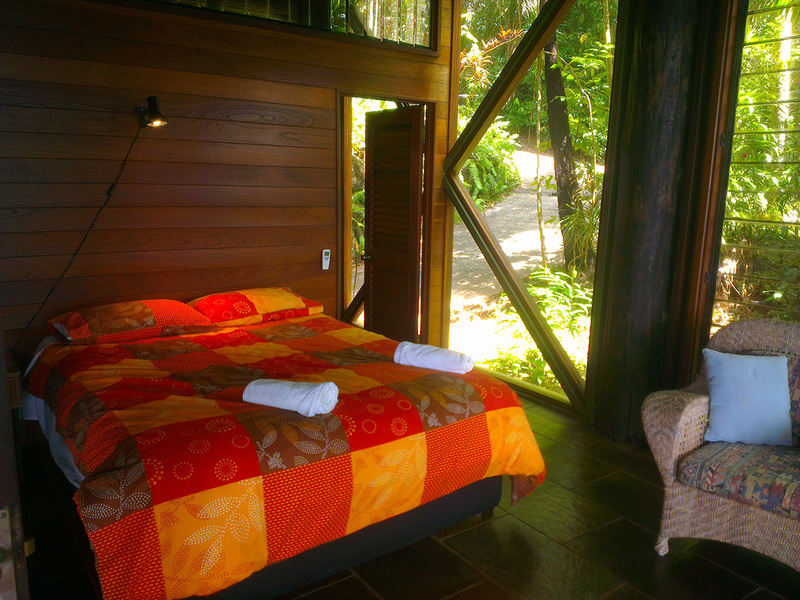 Hello and welcome to The Barn, a wonderful place for your next holiday in the Daintree rainforest that's just opened for accommodation in July 2014. The Barn is situated on the side of the mountain bordering the world heritage national park and only a 10 minute walk to the beach in the middle of the unspoilt rainforest of cow bay. Amazing view from the second floor front veranda! Only 10 minutes walk or 2 minutes drive to Cow Bay beach! Getaway retreat that suits everyone, couples, families and friends. Boasting unending views of the coral sea with the rainforest meeting reef the right in front of you, this is truly a place to unwind relax and forget about things for a while. The Barn is also a place where you won't forgo a bit of luxury, with three en suite bedrooms a fully equipped kitchen satellite TV, stereo system, billiard table, BBQ and a swimming pool, this three story pole house with 30 ft ceilings and glass walls from the ground up on 3 sides will truly take your breath away. And with the odd whale spotted from any of the three front verandas, cassowaries at the back door monitor lizards trying to sneak a dip in the pool, and the insect bats flying around the floodlights at night, lets you know that you are about as close to nature as can get. The Barn Daintree holiday house has 3 bedrooms, one on the top floor has a king size bed and two on the ground floor with queen size beds. We can accommodate up to 8 guests by setting up extra beds around the house and/or in the bedrooms and we are willing to accommodate more guest so please feel free to contact us. Bathtub on the third floor in the master bedroom. 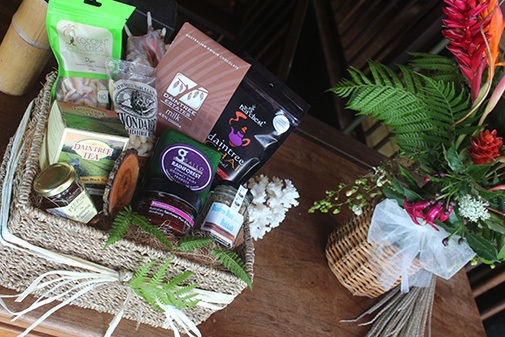 Make your stay even more special, check out their menu or website below for a range of hampers. They also do customised orders to suit your taste, all delivered to your door.